I’ve always liked cities where ferries are part of the public transport system. I loved to take the ferry to Manly from Sydney’s city center. Taking a boat trip down the Elbe in Hamburg was a nice way to get around too. 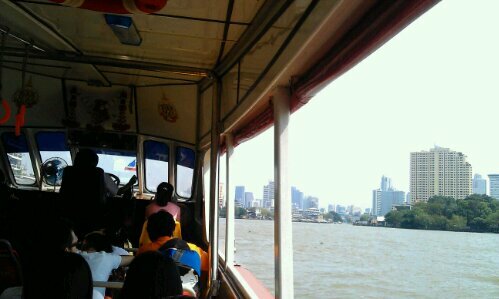 And yesterday we discovered what a convenient way of travel Bangkok’s ferries offer. We are staying about 10 minutes walking time from the next ferry stop and the trip to Chinatown, by car or tuktuk a nightmare, took 15 minutes by boat. 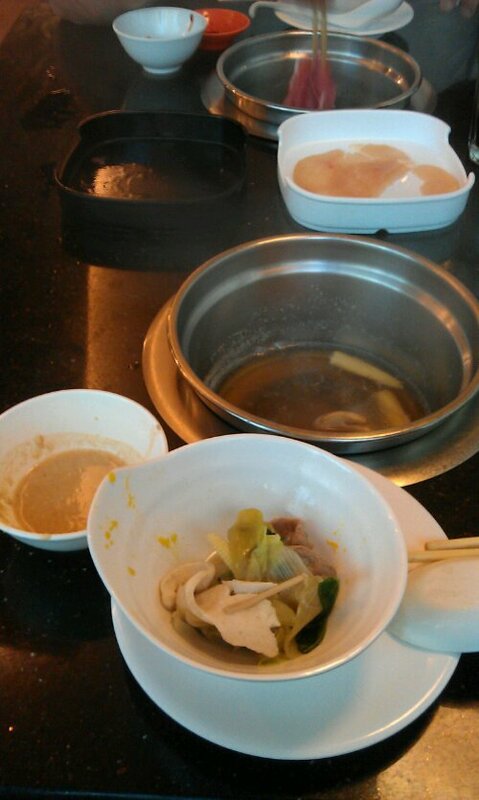 Today we went to “modern” Bangkok, also by boat and later by Skytrain. Probably going by bus would be an alternative buses only have signs in Thai and so it’s hard to figure out where they are going. So we jumped on a bus that was supposedly going our direction, paid 6,5 Baht each (so close to nothing) and it worked! We seem to get a hand on public transport in all its forms on our last day! This entry was posted in Thailand and tagged Bangkok, Ferry by kathatravelling. Bookmark the permalink.